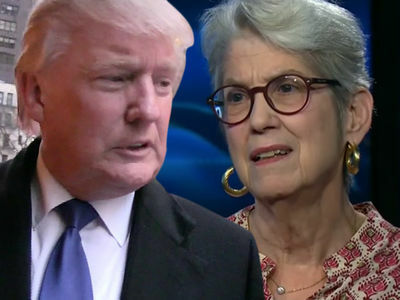 The woman profiled Thursday on CNN who claimed she was the recipient of an unwanted kiss courtesy of Donald Trump is a songwriter who penned and sang a tune that was squarely racist. Jennifer Murphy posted a video last April in which she sang about being a "neenja" in an characteur-like Asian accent. Jen ended up apologizing after a torrent of criticism was directed her way, saying, "It is obvious that I had bad judgment and didn’t understand that my attempt at humor would be seen as insensitive or mean-spirited ... I sincerely apologize to every person that has felt pain and offence because of me, and I ask their forgiveness." Jen has a history on TMZ ... turns out we broke the news to her then celebrity plastic surgery husband Bill Dorfman back in 2007 that she filed for divorce. Dorfman was stunned, saying he had dinner with her hours before we called and there was no hint something was amiss.